How Smoking Can Affect Your Job Prospects? The destructive effects of an addiction to Tobacco to your health are well-established facts. Now you have more reason to worry as a study published in California, by JAMA (Journal of American Medical Association) Internal Medicine finds that Smoking can affect your financial life severely too. Besides, it also determines that smokers, apart from being more likely to not find a job, are twice more likely to stay unemployed. Habitual smokers hence end up smoking more when they are unemployed and consequently, reduce their future job prospects too. This has untold consequences to individuals, families and the economy, which are yet to be computed in a study. The aforementioned study conducted by a team of scientists determined that unemployed non-smokers are 30% more likely to be in jobs within the next year as opposed to unemployed chronic smokers. On an average, these groups also earn $5 more per hour than the smokers. Also to be noted is that, decades of study hasn’t deterred the smoking population to substantially decrease the number of smokers. From 2008, the year the Government banned smoking in public places, there has been little or no difference in the number of smokers. So, the enforcement of the law really has been a liability as we see no decline in the number of smokers. None of these results bode well, neither to your health nor to your job prospects. The story of employed smokers looks quite bleak too. The study shows a higher percentage of layoffs among smokers than nonsmokers. Some of the reasons why the job prospects of smokers reduce, either part time or full time, is the worry among employers of absenteeism and higher health costs that they might have to incur. Many employers forbid the usage of tobacco and conduct urine tests to deter employees from smoking Tobacco. These trends are on the rise and it is less beneficial for every unemployed smoker in the economy. From the point of view of a job-seeker, the job market only gets increasingly hostile to smoking addicts. Despite the looming picture in the labor statistics, and the efforts of the government through enforcing laws, there hasn’t been a telling reduction in the number of smokers between the age-group 25-39. This shouldn’t deter you as an individual smoker from quitting the habit as the enforcement is only going to get more effective – the study conducted by JAMA Internal Medicine suggestive of one. More number of studies carried out on the relationship between smoking and unemployment also indicate towards the concerted effort between the government and employers to check the menace of tobacco addiction. In addition to all these, a severe smoking habit can cripple your priorities in terms of financial spending. If you ever had to choose between buying provisions/healthy food and cigarettes, it is evident that smoking has got a vice-like grip on you. This will make a smoker both physically and psychologically less equipped to face the grueling job market in the U.S. Most of these studies now infer to the notion that smokers don’t just stay unemployed because of smoking but also that they smoke because they are unemployed. This has turned out to be a vicious cycle, one which could be hard to break. Addiction to any type of drug can cause severe withdrawal symptoms, so much so that a person might think he/she is left more damaged than ever for taking the step to quit smoking at all. This is a common conundrum among addicts which is why most smokers end up in rehabilitation or de-addiction centers. If this is a feasible option for you, we very well recommend it, but at times of unemployment and with meager means for living, it is a step to be reconsidered. With the way cellphones have found their way into every aspect of our lives, there is little doubt you will find any help, given all the wealth of information that is available through the internet. One particular app that we find worth recommending is the ‘QuitGuide’ app. It is designed by the Tobacco Control Research Branch at the National Cancer Institute which is funded by the U.S. Department of Health and Human Services. It keeps a tab on all the instances you craved to smoke, finds the trigger points that induces you to smoke and identifies reasons to quit smoking. It also lets you create journal entries to let you track your improvement apart from monitoring progress. It is very necessary to feel ‘constantly motivated’ in order to hold back the resurfacing itch to place the roach between your lips! Admitting to your impulsiveness can help you pass through the testing times. To give you a heads up, here is what withdrawal does to your body – nausea, diarrhoea, splitting headache, constipation, anxiety, irritability, and a vague sense of depression. About 1 in 6 unemployed workers are addicted to tobacco or are alcoholics. This is twice the number for those employed, i.e. while 17% of unemployed had a substance abuse disorder, only 9% of full-time employees had an addiction disorder. 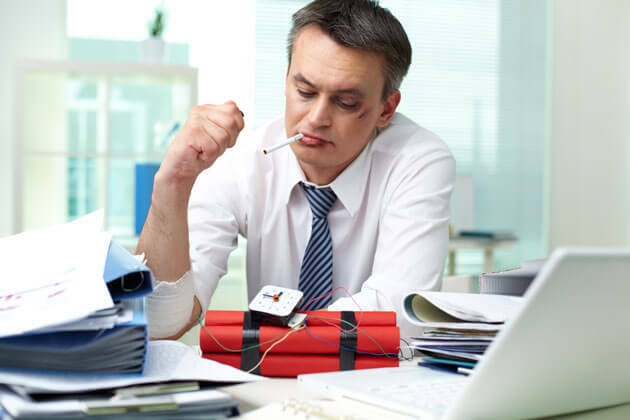 All this indicate one thing for sure – if you’re someone staying unemployed and are seeking a job it is prudent to let go of smoking before it sends your job prospects up in smoke!